The Healers / "The newness of life's journey continues to find reflections outside of itself, for nothing is new. What comes to our mind as revelation at first, usually reveals itself to be our moment of connection with what is already"
"After his training the healer walks through the same world every person walks through. But he sees signs others don't see. He hears sounds others don't hear. The same tree that just stands there dumbly to everyone, to the healer its leaves have things to say. 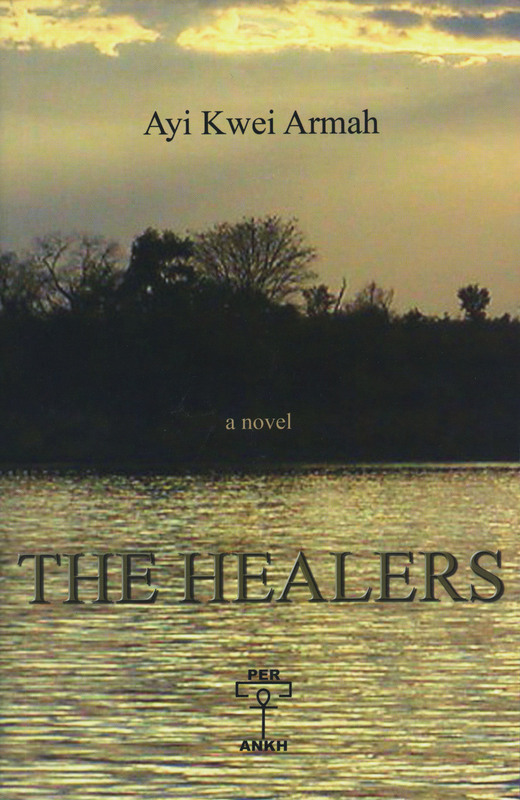 The healer learns the meaning of the river's sound, of the sounds of the forest animals ... He who would be a healer must set great value on seeing truly, hearing truly, understanding truly and acting truly ... You see why healing can't be a popular vocation? The healer would rather see and hear and understand than have power over men. Most people would rather have power over men than see and hear ... the healer devotes himself to inspiration ... He also lives against manipulation ... It's a disease, a popular one. If I'm not spiritually blind, I see your spirit. I speak to it if I want to invite you to do something with me. If your spirit agrees it moves your body and your body acts. That's inspiration. But if I'm blind to your spirit I see only your body. Then if I want you to do something for me I force or trick your body into doing it even against your spirit's direction. That's manipulation. Manipulation steals a person's body from his spirit, cuts the body off from its own spirit's direction. The healer is a life-long enemy of all manipulation. The healer's method is inspiration." I cannot find the words to fully capture what the above passage means to me. I do know that, once again, something I know in my soul has revealed itself as already being. It has already been and so I know that it makes sense. 1. A Healer is someone who trains himself or herself to see. The world around a Healer begins to illuminate itself and the things around him or her become much more clearer. 2. There is a truth involved in the seeing and hearing of things around us. Understanding becomes more important than simply knowing about a thing. 3. A Healer must inspire. The goal of the Healer is to speak to the spirit and inspire the spirit to make changes for the better. I am still unable to explain where this fits in my world. Not what it means or how it comes to be but how I ended up reaching the road where I would tap into the tradition. I didn't know it until it was over, I didn't realize that so much of what Armah describes above has been a part of my experience and inadvertently, I, too, have experienced some of what it means to be a healer. So much so that I even said it aloud, before I even read this book. So, I was awestruck when I began to read the book and realize that my seemingly random musings weren't so random at all. There is a science to it and I was just beginning to familiarize myself with the surface without even realizing it. In hindsight, I was never the nature type. Actually, that isn't all the way true. As a child, I really wanted to become a farmer, among other things. Even still, the inclination to examine and experience the natural world wasn't as deliberate. However, a few years ago, something in the woods interrupted the immediacy of my incessantly busy life and all of a sudden The Creator (and the Creations) were alive, in the present, and available to me. No matter what I had (or didn't have enough money to do), I could go sit by a tree or a river and "beam-up" i.e. tune into the earth and the heavens on a deeply spiritual level. One of the Holiest experiences: to sit by something created by the Creator that has its very own way of being and that I can experience just by being within its proximity. A very powerful thing. Another example: around this same time last year I was running late and missed my bus. I had to wait outside for the next one and happened to be across the street from a park full of trees. I was annoyed at first and then something came to me: I needed to be out to see the trees but they needed to see me too. It was the most random thought in the world. But I knew it was true. From then on my awareness was heightened. The trees were alive. More recently, I've been interested in the Sequoias and Redwoods. I remember a book I read as a small child which showed how massive these trees are and recently, I rediscovered them. After watching a few documentaries on these special, old, giant trees, I found a new sense of hope. If they can last that long, then we also can last. Even if we are not physically here, we can build things that are lasting enough to mirror the tenacity of these giant forest-dwellers. What am I saying? A few things, but mainly, that so much of what we do already has a defined and deliberate purpose. Although we know this in theory, it is a whole other thing to connect the dots and really recognize the factors that move us through this world. Very few things are random or by chance. So much of it is ordered and some things are just mere reflections of nature's laws. They are much more calculated than not. I'm beginning to see the direction in which my life is moving more clearly, even though it has been moving this way for some time. More than this though, by allowing myself to experience higher levels of earthly existence, so much continues to be revealed that, at times, I am in complete awe. And so, an experience here or there begins to manifest as a pattern and the pattern reveals itself to be truth.